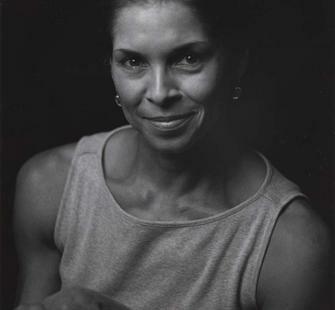 Jeanne Moutoussamy-Ashe was born in Chicago. She has produced a body of work focusing on the social ramifications of the historical outcomes of slavery; the expressly intimate moments of a family in the face of personal tragedy, and a broad engagement in the history of photography. She studied at The Art Institute of Chicago from age eight and by the time she earned her Bachelors of Fine Arts from The Cooper Union in New York City, her camera had developed into an extension of both her goals and her persona. Her work has appeared in Life, Smithsonian, Sports Illustrated, Ebony, Essence, People, and The New York Times and has been shown in solo and group exhibitions around the world at venues including the National Gallery of Art in Washington, D.C., Galerie Herve Odermat in Paris, The Excelsior in Florence and The Leica Galleries in New York City, Solms, and Cologne Germany. Jeanne Moutoussamy-Ashe’s photography has touched many people in all parts of the world. Her sensitive approach has helped to show the compassion and courage of others, whether they be immigrants, members of her own family, or black women photographers who were virtually unknown until she published their work. Her talent has been displayed in national magazines, scores of museum exhibitions here and abroad, and in the photography and design of many books, four of them her own. Her long involvement in both civic and health issues has improved the education of young artists and accelerated the fight against AIDS.